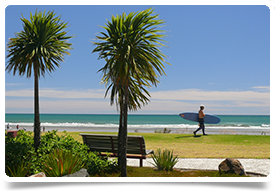 We’re seeking a Consultant Psychiatrist (General Adult) with broad experience to work in a small team in Whakatane, which is part of a larger district-wide Mental Health & Addiction Service which spans the Bay of Plenty region. Whakatane offers a coastal, relaxed lifestyle. With some of the best beaches in NZ on your doorstep such as Ohope, Mount Maunganui, Papamoa and Ohiwa, its ideal for those who love the great outdoors. We are therefore looking for a Psychiatrist who has broad general experience, a passion for service development and an interest in education, teaching and research, and who will settle into the local community and provide a vital and valuable specialist service. There is opportunity to work with Auckland University Medical School students and Psychiatry Registrars. Mental health and addiction services are provided for a population of 220,000 across the Bay of Plenty and are divided into Western BOP (Tauranga) and Eastern BOP (Whakatane). The community mental health and addiction teams are multi-disciplinary teams which comprise of Psychiatrist, Registrar, Clinical Psychologist(s), Registered Nurses, Social Workers, Occupational Therapists and a Team Leader. There is an after-hours crisis service based in Tauranga and in Whakatane, an after-hours contact. The Adult inpatient service has 34 beds; 10 are located in Whakatane and 24 in Tauranga. Intensive patient care is offered in each unit. In addition, there are district-wide specialist services for adult addiction, children and young people (CAMHS), older people (MHSOP) and Consult Liaison Psychiatry (CL). After hours the psychiatrist on call may be required to provide assessments and oversight of treatment for patients needing to access these services. In the Western Bay of Plenty, Adult Community Mental Health and Addiction Services are delivered by two teams (North and South) based in Tauranga. The Psychiatrists provide clinical leadership for the multidisciplinary community teams in partnership with the team leader. They work across the community and inpatient services. The work is distributed by a geographical model. The intention is collaborative practice and continuity of care between inpatient and community settings. There is one team (East) in the Eastern BOP based in Whakatane - where this role is based - and the Psychiatrists work with the same model across the community and inpatient service described above and work is allocated in a similar way. BOPDHB is a branch of the RANZCP (Royal Australian and New Zealand College of Psychiatrists) Upper Central North Island training programme. All psychiatry registrar runs are accredited for basic training and many for advanced training. There are eight registrars working in the service, including one non-training registrar in Whakatane. A new main highway has opened up access across the region and its now only a 1 hr drive up the coast to Tauranga, the 5th largest city in NZ. As a result, more people are moving into the Whakatane area and the property market is really taking off. Whakatane and Ohope are now highly desirable areas to relocate to. It’s a very nice way of life if you prefer not to be in a city and to be close to the ocean, the community is welcoming and the living is definitely relaxed. Real estate is very reasonably priced and properties can range from apartment style living, to large detached houses with a garden, or even lifestyle blocks with a couple of acres of land attached. There are daily flights from Whakatane to Auckland (45 minutes), making international flight connections easy. All relevant qualifications must now be verified by ECFMG using the EPIC system on behalf of the Medical Council of New Zealand. We recommend starting this off during the recruitment process, so it is already underway early on especially if you hold qualifications from locations other than NZ. Candidates can log on to EPIC and complete this step online very easily. Starting this as early as possible will prevent delays if your University or Medical Specialist College do not respond quickly to verification requests from ECFMG via EPIC.